Advanced Reservations are strongly encouraged. These cruises typically sell out. Times and date subject to change. Please check our cruise calendar for the most up to date information. Cash Bar and Gift Shop, Sack or Box lunches are Welcome. Sorry, no coolers! What better way to see the river than from the deck of an old-fashioned riverboat? Treat yourself to a 1 ½ hour sightseeing cruise aboard the Riverboat Twilight. These cruises will depart and return from the Port of LeClaire IA. The Twilight will travel north and take in the sights of the Mississippi River, it’s wildlife and the river towns of Pt Byron IL, Princeton IA and Cordova IL. The Captain will give a brief history of the area and facts about the river and its commerce. There is also plenty of time to relax, enjoy a complimentary glass of Iced Tea or Lemonade or to purchase a beverage at the full service bar on the third deck. Our gift shop is located on the bottom deck and offers a variety of Twilight souvenir items. No food service is provided, however, passengers are welcome to bring a sack lunch or small picnic basket with them. Sorry…no coolers or alcoholic beverages can be brought on board. 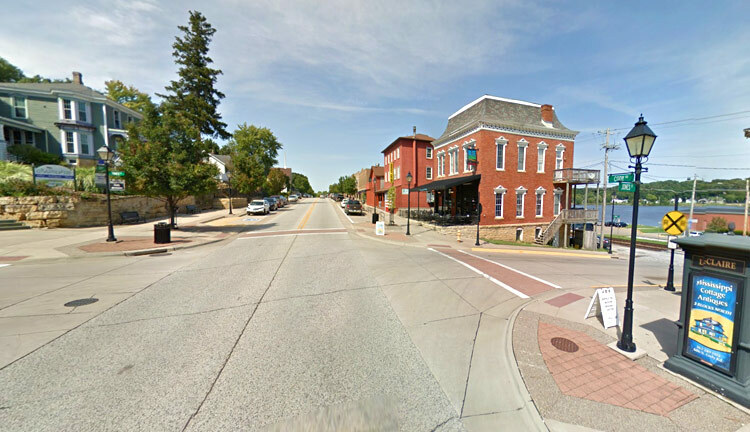 Situated along the beautiful bend on the upper Mississippi River at the intersection of I-80, LeClaire was home to the brave river pilots who navigated the treacherous Upper Rapids between Le Claire and Rock Island, Illinois. LeClaire is home to fine restaurants, shops and American Archeology, the business made famous by American Pickers, Mike Wolfe and Frank Fritz. Relax along the scenic streets of this historic river town that exudes turn-of-the-century charm and elegance. 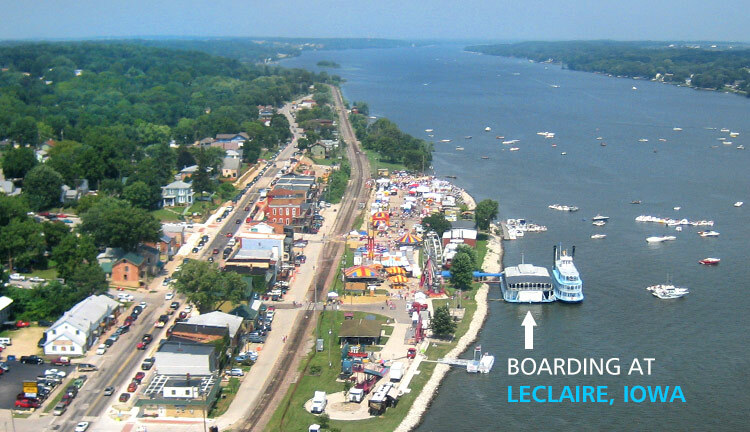 Located just a few short miles north of the Quad Cities, Le Claire offers an experience that will last a lifetime. Be sure to include a stop at the Buffalo Bill Museum. This museum is so much more than a tribute to Buffalo Bill. There is history specific to LeClaire, the Mississippi River, Steamboats, Civil War, Native Americans and more.